TerraTrike of Grand Rapids, Mich., is recalling about 600 adult tricycles (trikes). The right hand wheel hubmount can bend or break, causing the user to lose control of the trike, which can result in serious injury or death. The recalled TerraTrike adult, pedal powered, orange, green or yellow tricycles have two wheels in the front and one wheel in the back and a black canvas seat. Recalled models include: TerraTrike Rambler x16 (orange), Rambler All Terrain (green) and Rambler E.V.O. (yellow). The trikes, depending upon model, come with either three 20-inch wheels or three 24-inch wheels. The model names are located on the outrigger tubes that come out of the main tube and connect to the front wheels. The serial numbers included in this recall are listed on the firm’s website at www.terratrike.com and are located under the main tube on a barcoded sticker near the rear wheel. The serial numbers are also stamped into the head (vertical) tube of the outrigger. 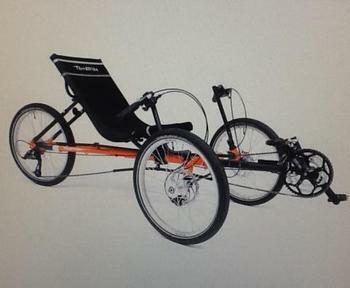 The trikes, manufactured in Taiwan, were sold at authorized TerraTrike dealers, independent bicycle dealers and recumbent bicycle specialty stores nationwide and online at www.TerraTrike.com from May 2018, through August 2018, for between $2,000 and $3,500. Consumers may contact TerraTrike at (800) 945-9110 from 8 a.m. to 5 p.m. (ET) Monday through Friday or online at www.terratrike.com and click on “Important Safety Recall” for more information.